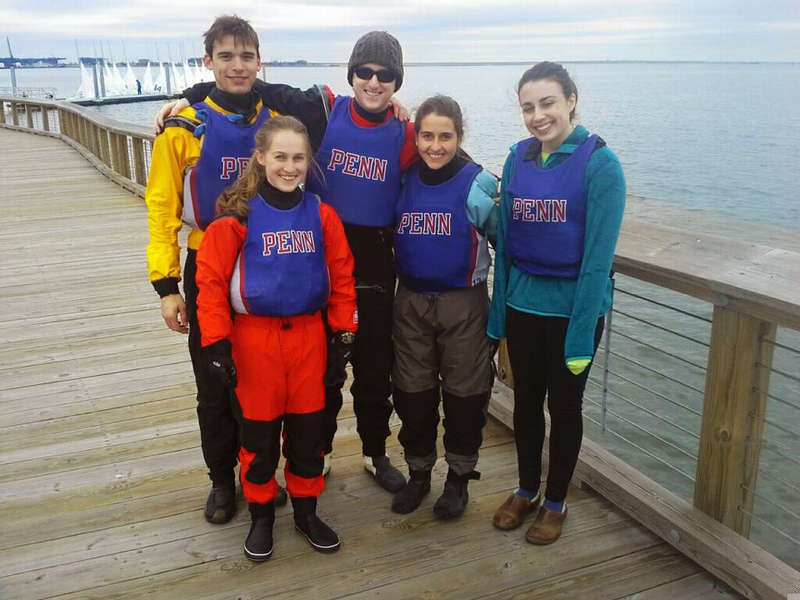 This past weekend the Penn Sailing Team competed at SUNY Maritime College in the War Memorial, which is also the MAISA Conference fleet racing championship for the fall as well as the qualifier for ACCs. 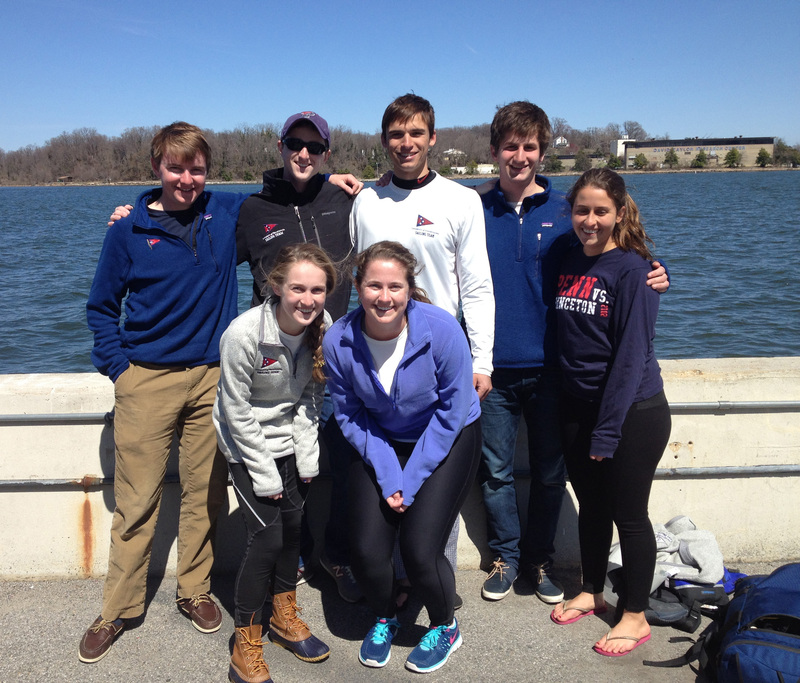 After finishing 6th in last year’s War Memorial, the team was eager to improve on their performance. The Quaker team, consisting of myself, Drew Gallagher, Catie Hopkins, Cary Kane, Patricia Andrade, Maxwell Ryder, and Foster Collins, were received warmly by the Gallagher family once again at their Larchmont home. We all got a great sleep in preparation for a big day of racing on Saturday. The breeze was up and the temperature was down on Saturday morning when we arrived at the venue. 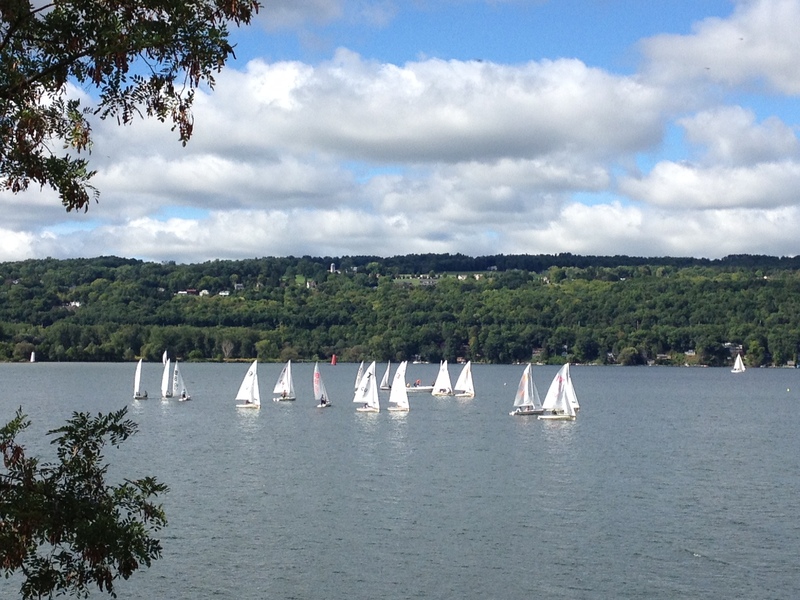 Luckily, conditions were favorable for racing and the R.C. was able to get things started right away. We got off to a solid start in both A and B divisions and were looking very good for the early part of the event. The day was not without its mishaps, however. 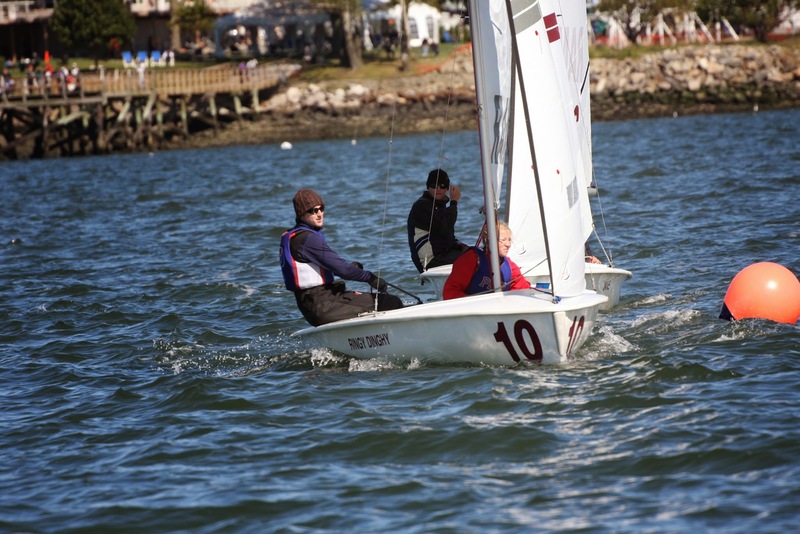 One of Cary’s and my races was abandoned due to a cargo ship going through the course when we were in second place – we finished 12th in the “do-over” race. Drew sailed consistently well all day, just as he had been working on doing all season. It was a great culmination of a semester’s work. Unfortunately, the day left us in a tie for 8th place, and a mere few points out of qualifying for ACCs. Unfortunately for us, Sunday dawned with howling winds which forced the Race Committee to leave us postponed on shore for most of the day. Finally, the B Division was sent out to finish the set that A had started the day before. 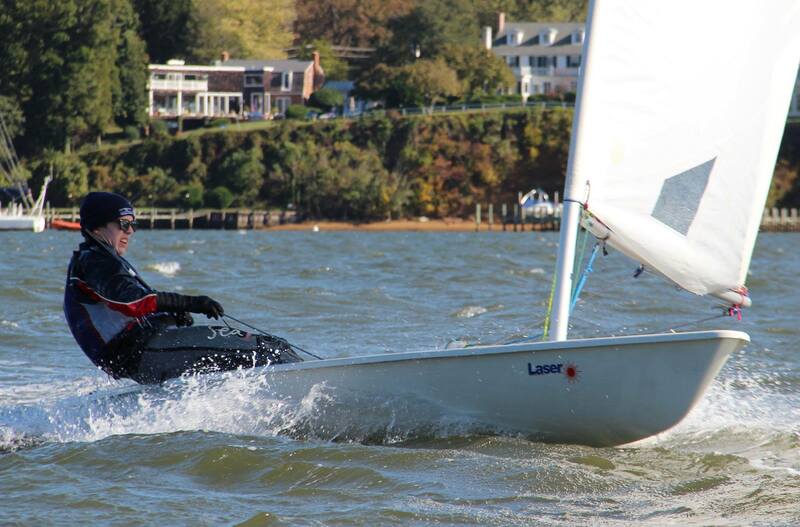 Drew sailed with Foster and they were definitely a force to be reckoned with in the intense breeze. Unfortunately, the two teams we needed to beat in order to clinch a berth in ACCs were just slightly better, just edging out Drew in the last race. While the team was a little bit disappointed that they didn’t make their goal of qualifying for ACCs, we feel that we learned a lot from the event and from the season as a whole. We saw a lot of great promise from our freshmen and a great improvement from the rest of the team. 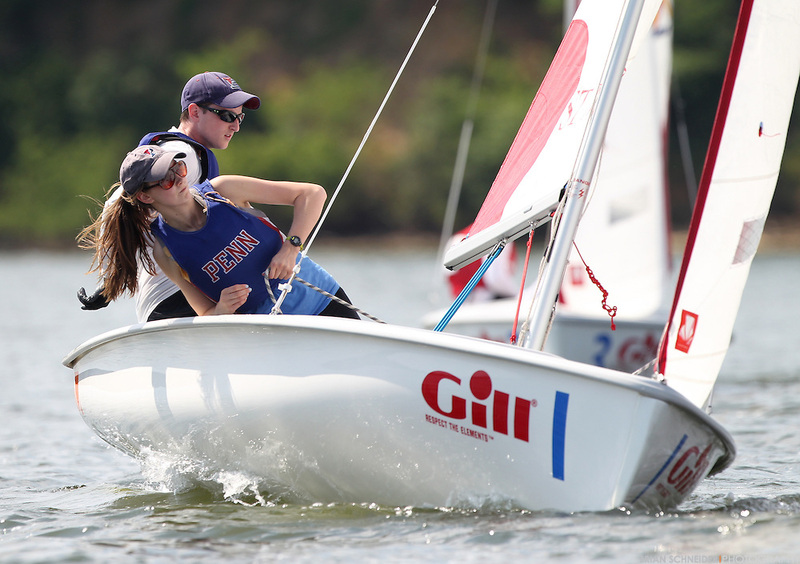 The future looks bright for Penn Sailing as we move into preparations for our spring season. 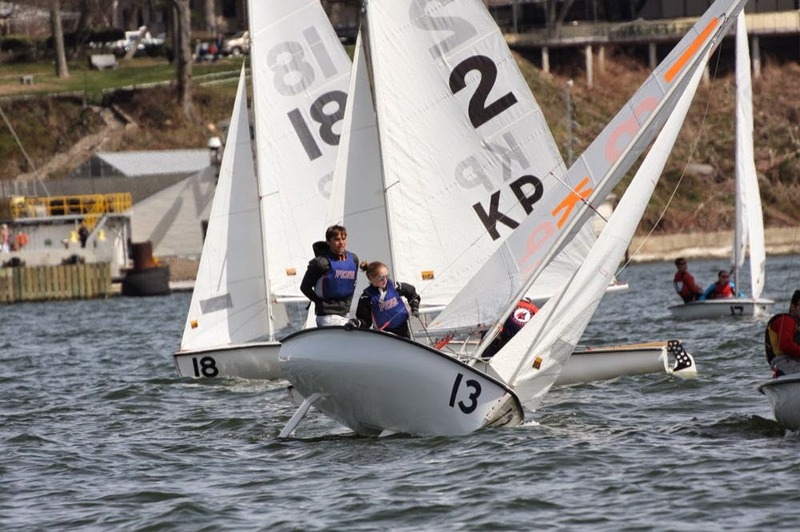 With a good body of work in the spring, I think we have a great chance to make it back to National Semifinals and perhaps the Dinghy finals as well. 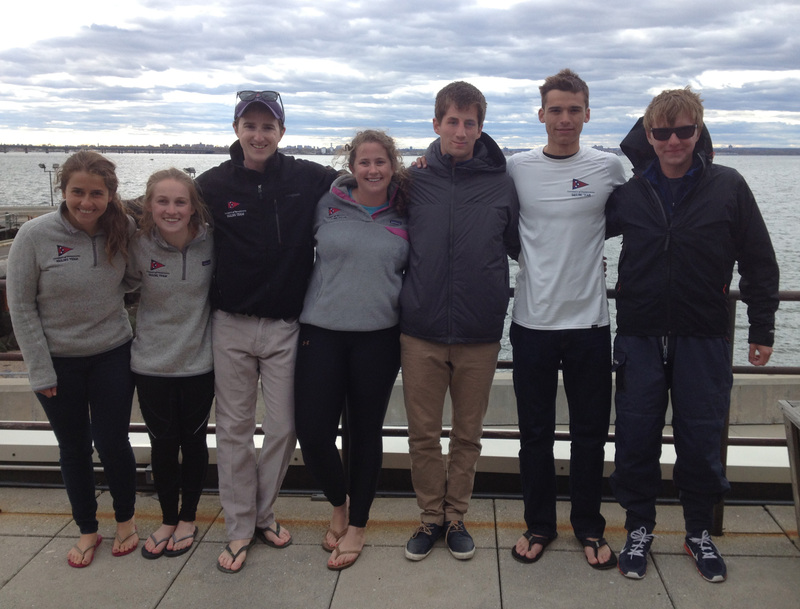 Thanks very much to our coach Billy Martin for a great season on and off the water, and thanks to all the parents and alumni who graciously hosted us this season, especially the Gallaghers, whose proximity to the New York City venues (not to mention their fantastic hospitality) made them our “MVP Hosts” of the Fall 2014 season. 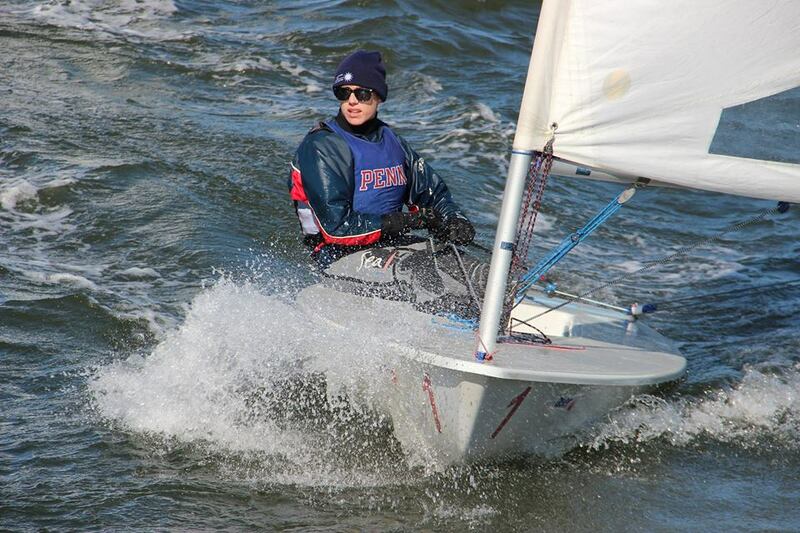 The past two weeks have been some of the most fun I’ve had during my three years of college sailing. 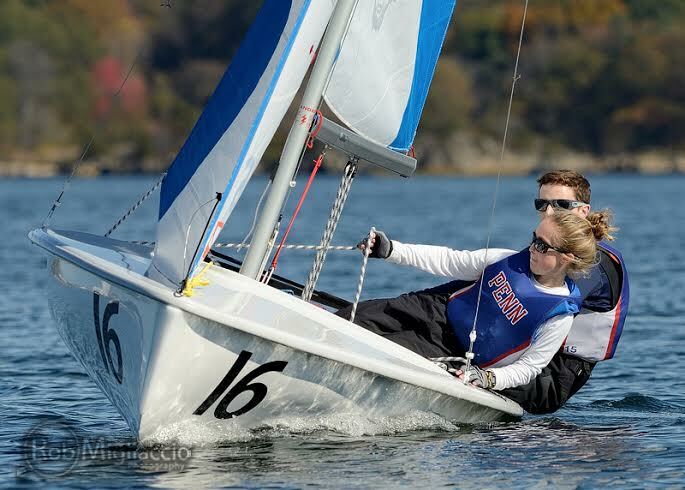 Due to the vast difference in final exam dates across the many schools competing in post-season sailing, few, if any, regattas are scheduled from early May through the start of the national championships. This leaves teams whose seasons are not yet over with the task of planning practices in order to keep them sharp during their time off. For Penn’s first post-season venture in 5 years, the team wanted to practice with some of the premier teams in the country. Thanks to the many connections of our coach Johnny Norfleet, we were invited to practice with some of the best teams in New England over the course of two weeks. Our first trip would take us to Yale from May 20-24, and the second practice would be at Coast Guard from May 27-30. 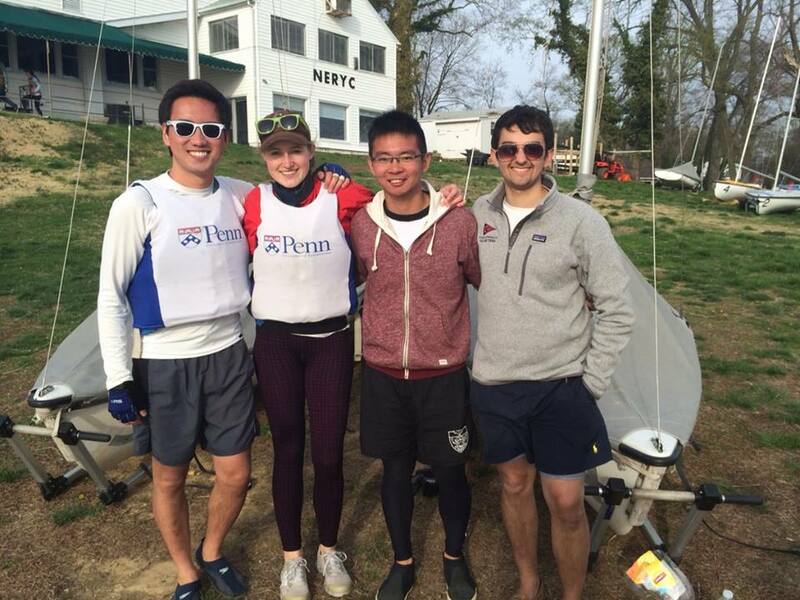 Exactly a week after final exams ended at Penn, the team reconvened in Philly to drive to Connecticut. A group composed of Mac Agnese, Catie Hopkins, Joe Farned, Patricia Andrade, Cary Kane and I began our long drive up to the New Haven area around 5:00. Nina Kaledin met us at our host house after driving from her own home in upstate New York. 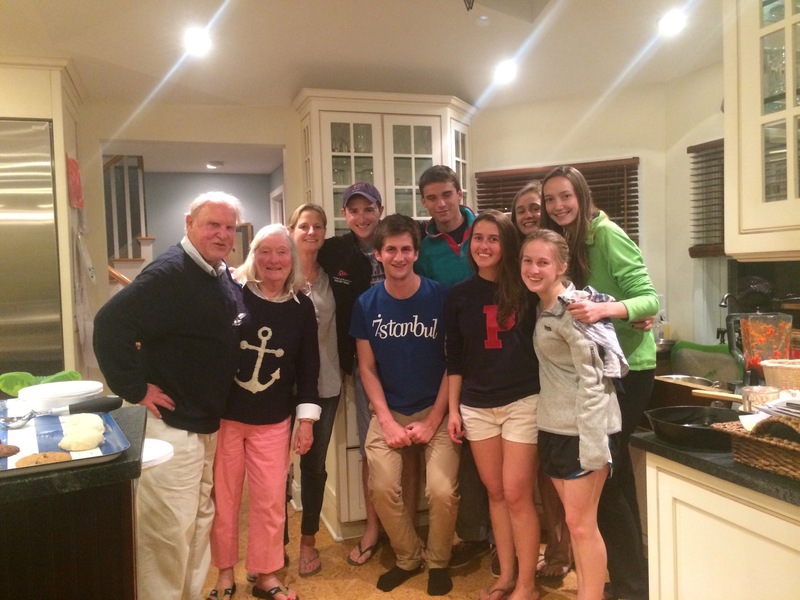 We were graciously offered housing at the residences of two Penn Sailing alumni in Essex, CT – Linda Grossman (’91) and George Graf (’55) – where we stayed for the duration of our time in Connecticut. Our first day at Yale brought very light breeze and balmy temperatures. 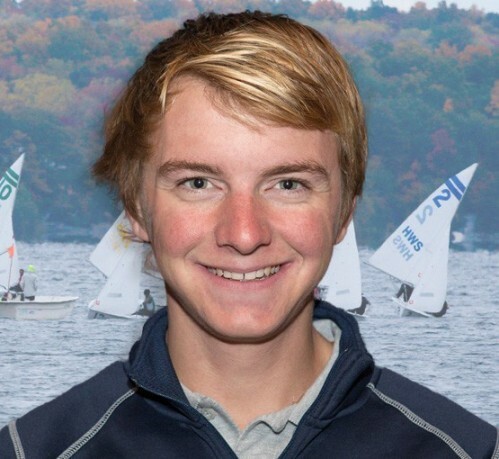 All 36 of Yale’s boats (18 FJs and 18 Z420s – just like St. Mary’s) were filled on the first day by a number of different teams from across New England. 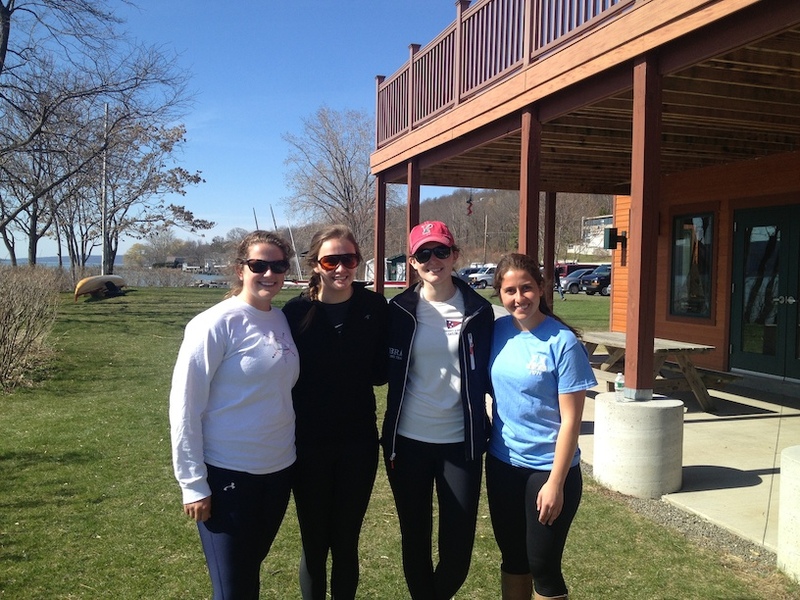 Top programs like Harvard, Tufts, Brown, and Conn College were there, giving the practice the same sort of feeling as a full-on intersectional regatta. 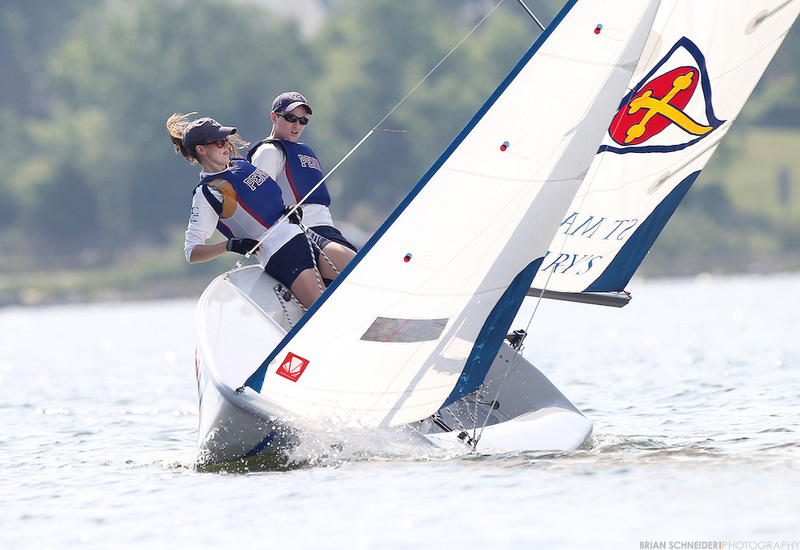 The breeze filled in more consistently in the afternoon, allowing us to get some high-caliber practice races in the new Z420s we would be sailing at Nationals. The second day brought much colder temperatures and intermittent showers, as well as steadier breeze. Most of the teams from the previous day stuck around, so all boats were once again filled. We got more solid practice in the Z420s, learning some of the boat’s ins and outs while practicing against some of the best sailors in the country. After sailing, the Grafs treated the team to a delicious dinner at a great local pizza place. 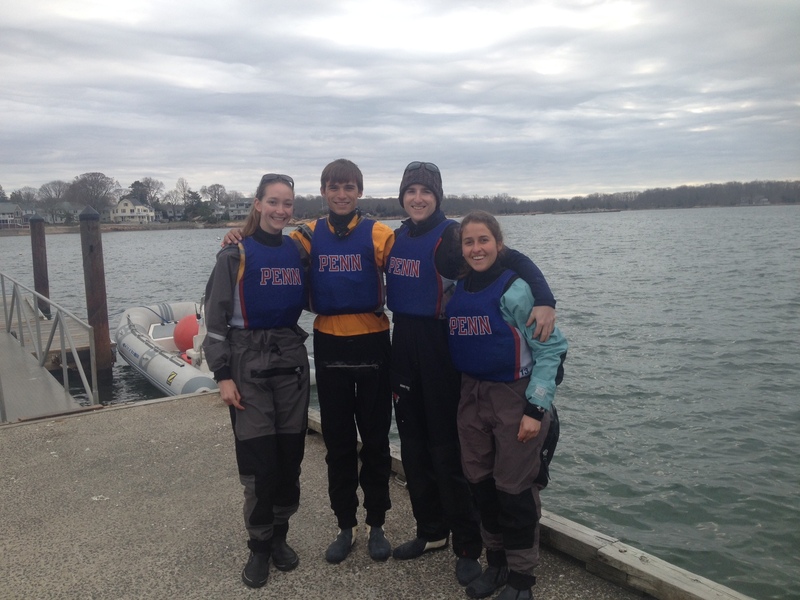 Our third and final day at Yale came with perfect conditions, though fewer teams were present. 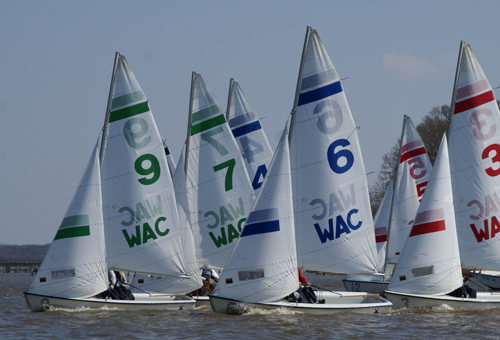 The different teams decided collectively to practice in FJs, rounding out a full fleet of 18 for the day. 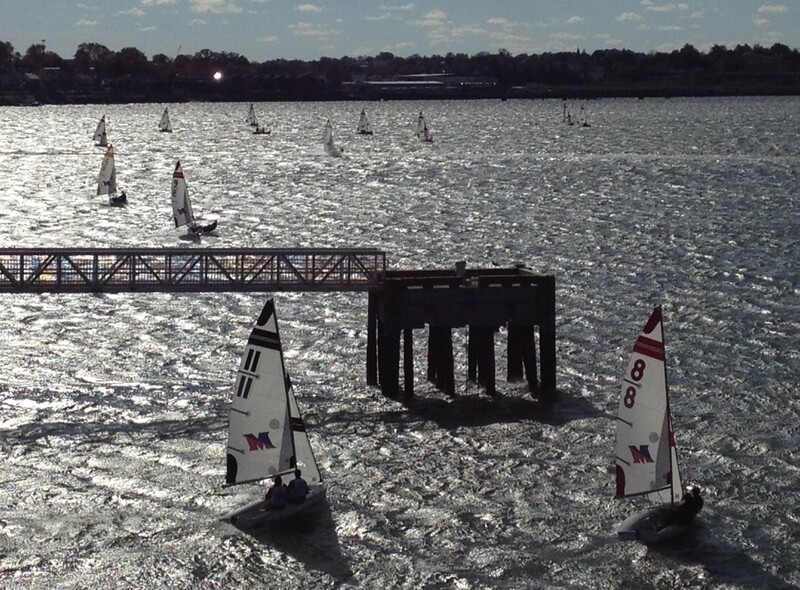 We ran a lot of starts and different boatspeed drills that took us way out into the Long Island Sound. Exhausted, the team returned to Essex where Linda and her husband Craig cooked the team pizzas on their grill cookout-style. Our final day of practice took us to the US Coast Guard Academy for a “regatta” against their team and some local sailors. 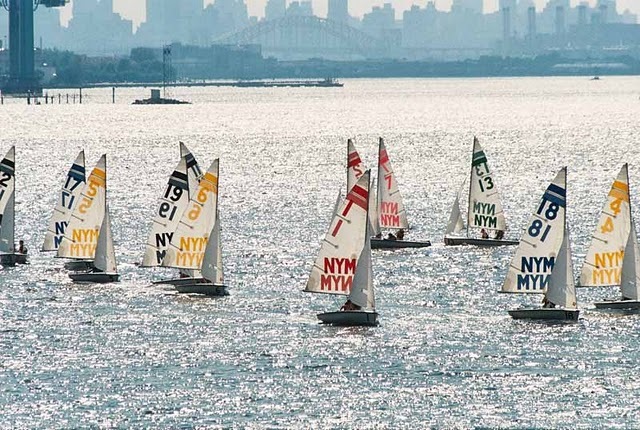 The conditions were once again perfect for sailing, albeit slightly chilly, allowing for three races before a lunch break when the breeze died. After lunch we sailed more practice-like races to keep the practice productive and fun (partial courses, crew races, etc.). 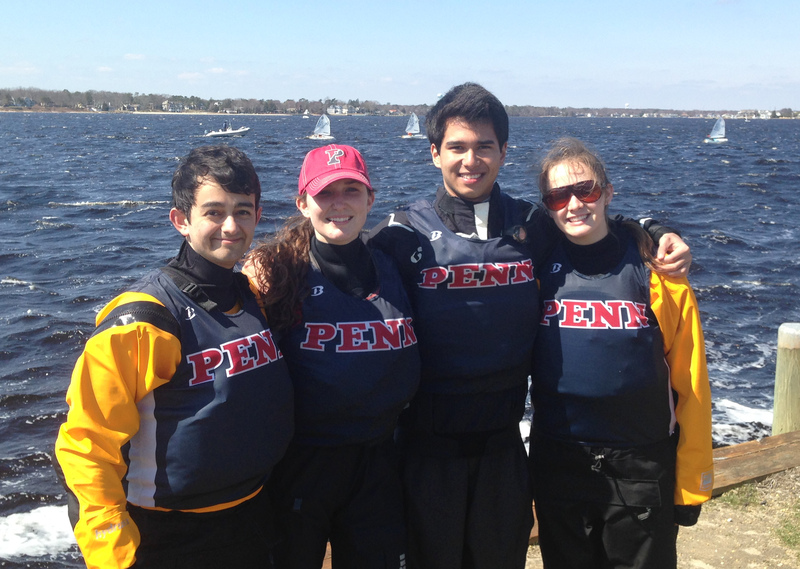 Unofficially, at least three Penn boats were in the top 5, but at the end of the day, we were all more than satisfied with the practice we were able to get in. Afterwards, we all headed back to Philly for a couple days rest before Round 2. Thank you so much to the families of George Graf and Linda Grossman for opening their homes to the team for the week and being such fantastic hosts. We owe them a huge debt of gratitude for supporting us on our road to nationals. Check back for our week 2 report, and other Nationals-related news!